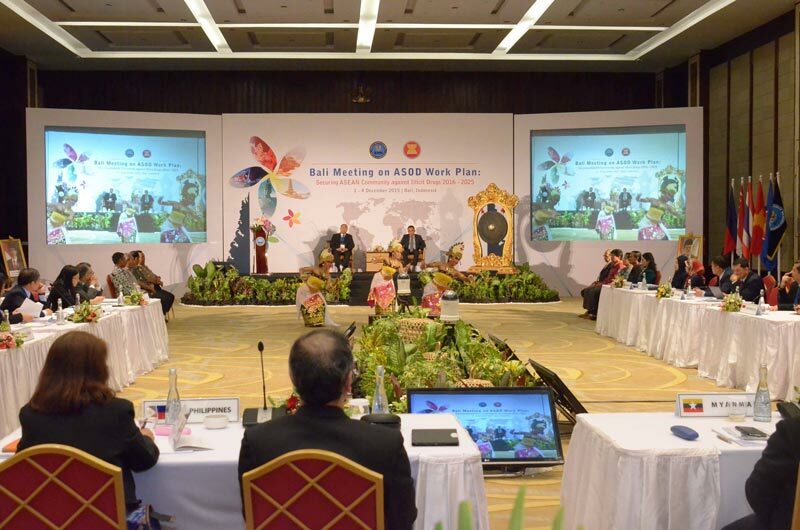 Initiated by the National Narcotics Board of the Republic of Indonesia, the Bali Meeting on ASOD Work Plan: Securing ASEAN Community Against Illicit Drugs 2016-2025 was held at Inaya Putri Bali Hotel, Nusa Dua, on 1 - 4 December 2015. The meeting was attended by delegates from 10 ASEAN member countries and representatives of the ASEAN Secretariat Office. The two-day meeting was officially opened by Gen. Pol. Nicolaus Eko, the Primary Secretary of the National Narcotics Board, accompanied by the Deputy Director of the Indonesian Detective and Criminal Board. The program included meeting, press conference, welcome dinner at the Inaya Putri Bali and gala dinner at Garuda Wisnu Kencana Cultural Park on Ungasan Hill.